Frae tap left: Dudley Toun Centre viewed frae Castle Hill; Dudley Priory; Dudley Zoo; Dudley Mercat Place; Dudley Castle; Statue o William Ward, 1st Earl o Dudley. 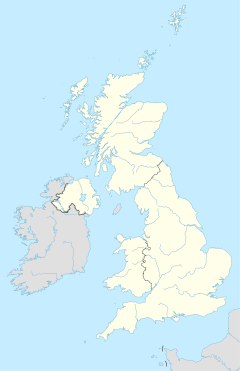 Dudley ( i/ˈdʌdli/) is a lairge toun in the Wast Midlands o Ingland, 6 miles (9.7 km) sooth-east o Wolverhampton an 8 miles (13 km) north-wast o Birmingham. ↑ "Usual resident population by five-year age group, local authorities in England and Wales". 2011 Census. Office for National Statistics. Retrieved 16 July 2012. This page wis last eeditit on 20 Juin 2017, at 00:01.